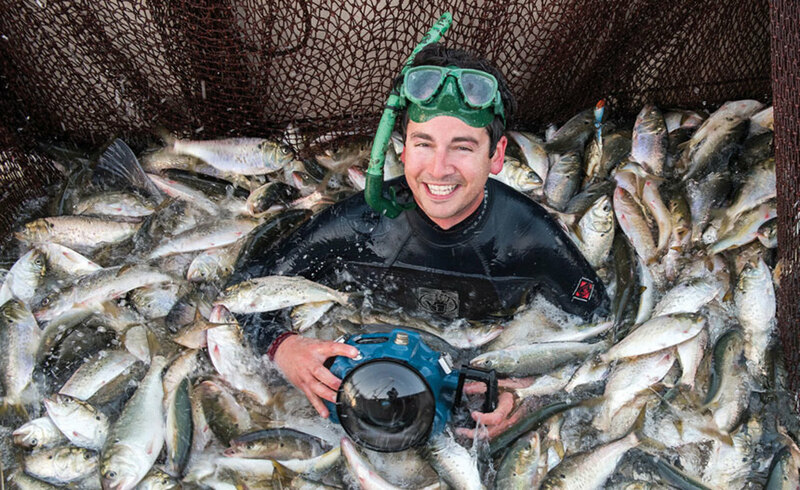 On any given day, you’re likely to find Chesapeake Bay photographer Jay Fleming mucking through a mosquito-ridden marsh, kayaking around a fleet of workboats or diving head-first into a net full of fish. Always willing to go the extra mile to get a great shot, Fleming’s photography provides a glimpse into parts of the Bay many will never see. Fleming’s father was a National Geographic photographer, so it seems natural that he would pursue a career in photography. His vocation dawned when he was 14 and inherited his father’s Nikon film cameras. Though his father emphasized the importance of a strong work ethic and coached him on the basics of photography, Fleming quickly developed his own style. 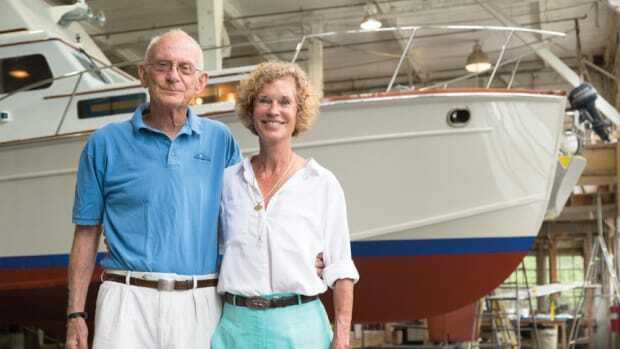 Based in Annapolis, Maryland, Fleming specializes in capturing unique perspectives of the wildlife, landscapes, boats and boatbuilding, and the culture of watermen and the Bay. 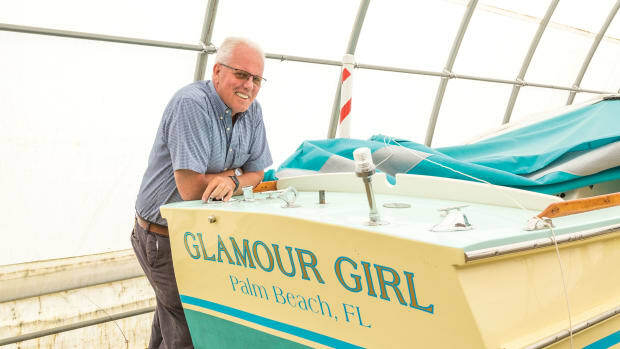 His latest book, Working The Water, depicts an unfolding year in the rich Chesapeake Bay seafood cycle, following the hardscrabble folks who bring crabs, clams, oysters and other delicacies to dinner tables around the country. First memory of being on a boat: In a small skiff out of Annapolis, on the Severn River. My parents took me out chicken-necking for crabs when I was 5 years old. First boat you owned: A kayak was the first floating vessel that I captained. My first powerboat was a 15-foot Gheenoe with a 5-hp tiller. Last or current boat: I have a 22-foot Privateer Roamer, a 1983 hull completely rebuilt in the winter of 2018; a 17-foot, 6-inch Privateer bay boat, a 1986 hull rebuilt in the winter of 2016; and six kayaks. Favorite boat you’ve owned: The Roamer and the bay boat are perfect for different applications on Chesapeake Bay. The bay boat is my favorite for fishing and exploring around shallow water. Your dream boat: I don’t think I could only have one boat! My next boat will larger, one I can do overnight trips on — ideally a 36- to 40-foot fiberglass Chesapeake deadrise-style boat. Even on a larger boat, I will always want small rigs for exploring shallow waters. 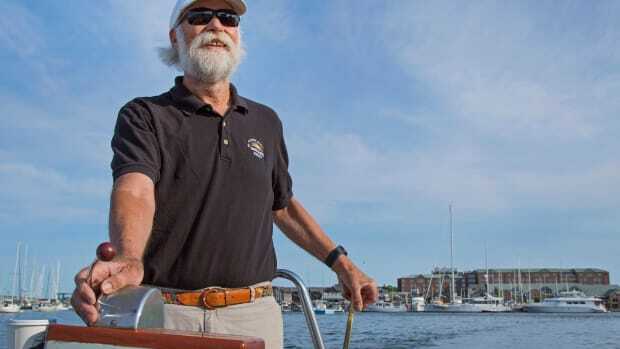 Most rewarding (sailing) experience: Getting to spend time with Art Daniel of Deal Island, Maryland. Art captained a skipjack up until he retired at the age of 93. I went on board Art’s skipjack, City of Crisfield, seven times while shooting for my book, Working the Water. The experiences with Art were just as memorable as the photographs taken on board his boat. 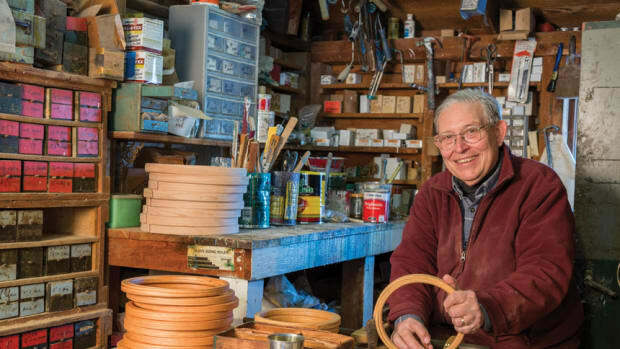 Art had an incredible knowledge of the history of Chesapeake Bay — he had been a waterman since he was 12 years old. He passed away in the summer of 2017, and I feel very fortunate that I was able to spend time with him. Scariest adventure aboard: Crossing 9 miles of open water in Tangier Sound solo in my Privateer bay boat in 5- to 6-foot waves. The tiller-handle skiff wasn’t built for heavy seas. Waves were crashing over the bow, and I opened all the plugs so the water coming over the bow could drain. I just took her easy into the sea and held the tiller tight. I may have kissed the ground when I got to shore. Most memorable experience aboard: Shooting underwater in the shallows of the Exuma Cays in the Bahamas. I rented a kayak and paddled 30-plus miles while camping on small islands. I brought a fishing rod to attempt to catch bonefish. I found groups of unharassed bonefish throughout the paddle. On the second day of the trip, I was fishing near an inlet where juvenile lemon sharks were abundant. When I released the last bonefish of the trip, it was attacked by a 3- to 4-foot lemon shark at my feet. I quickly reached into the kayak for the camera and took 10 shots of the fish being eaten. Longest time you’ve spent at sea without setting foot on land: Most of my trips are day trips. I spent a week sailing the Aegean Sea and the islands of Greece with my aunt and uncle in 2009. I have an upcoming photography assignment that calls for six consecutive days on the Gulf of Mexico. Favorite destination so far: Cuba. Access to the water is limited because of government restrictions. I had no idea we would not be able to get out on the water. That gave me an appreciation for the access we have in the United States. Favorite nautical book: Watermen by Randall Peffer — and Working the Water by Jay Fleming, of course! 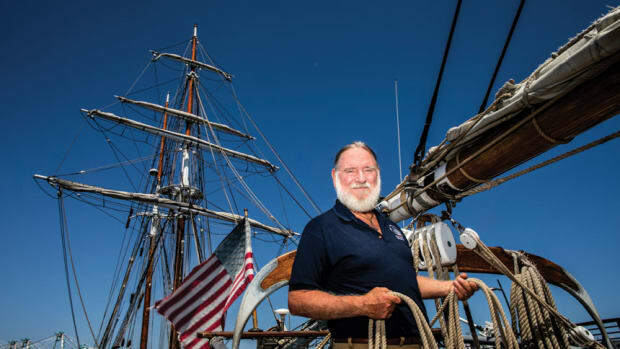 Favorite nautical cause you support and why: I support anything that gets people out on the water and supports education about the environment. 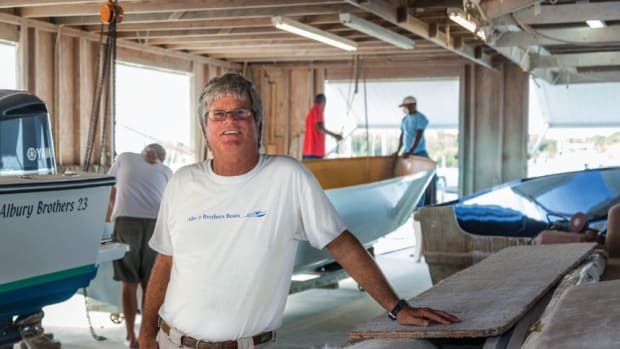 Favorite quote about the sea: “If it’s blowin’, we’re going.” — Scott Wivell, Cape Charles, Virginia, waterman. 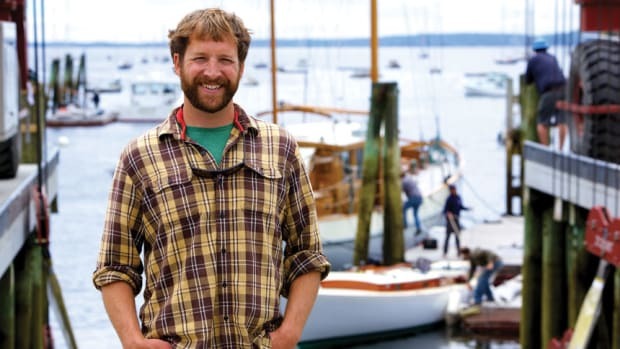 Sam Temple started working at Rockport Marine in Rockport, Maine, when he was 11 years old. Today he co-owns and runs the place. 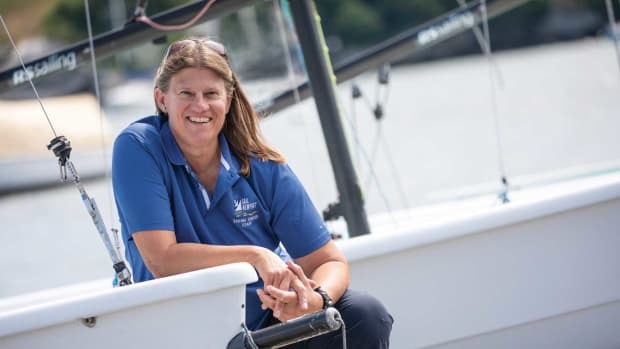 Kim Hapgood, the program director at Sail Newport in Rhode Island, offers advice on how to keep sailors of all ages engaged in the sport. It’s said that in the 1880s, seven of the 10 boatbuilders on Man-O-War Cay in the Bahamas had the last name Albury.